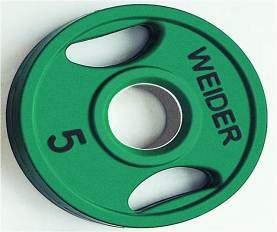 D Type Handle Weight Plates Coloured Rubber Coated Olympic Plates. These are available in a wide variety of different specifications that help in meeting the diverse requirements of customers. The Syndicate rubber coated d type handle weight plate of quality tested inputs imparts durability and finishing in these plates. A series of inspections and tests are conducted on the finished rubber coated weight plate to ensure the movement of defect free products to the market.